My name is Robin Schütz and I was born and raised in Essen in the Ruhr Area. 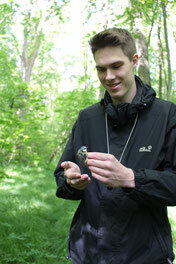 After my Abitur in the year 2015 I started my Biology studies at the Ruhr-University of Bochum, where I am currently working on my Bachelor’s thesis on the establishment of eDNA monitoring of birds. My name is Till Macher and I was born in Oberhausen and raised in Essen. After my Abitur in the year 2012 I started my Biology studies at the Ruhr-University of Bochum, where I am currently working on my Master's thesis on population genetic analyses of Antarctic sea spiders. Sounds kind of similar? That can't be a coincidence! And it isn't either, because in the year 2004 we became neighbors and immediately became friends. Even back then, nature in all its ways and simply "being outside" was really important for us, because for both of us the apple doesn't fall far from the tree. Both our parents studied biology and sparked our early enthusiasm in nature. 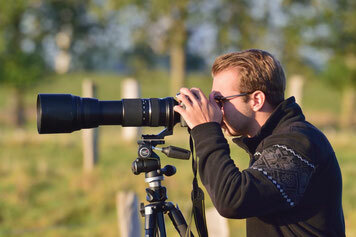 Thus, we started planning birding tours and spend hours and hours on projects in our gardens and the local forest. This enthusiasm for nature has never diminished and manifests itself today in our nature photography. 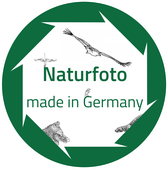 We created this website in order to provide a platform to present our pictures from the different topics of animal-, plant- and landscape photography. Our photos are not only meant to be simply illustrative materials, but also highlight nature in all its facets and, in the best case, evoke the same enthusiasm that caught us as children.